We remove uncertainty and resolve concerns for dentists and practice owners facing issues related to fraud, embezzlement, financial misconduct or employee dishonesty. If you are a dentist or practice owner and suspect that someone is stealing from your practice; make the call. Initial consultations are free, and your privacy is assured. In many cases, we can resolve concerns over the phone. An “exploratory examination” to look for evidence of stealing starts at $1800. Our work is performed secretly and offsite to ensure your confidentiality. Prevention: we can recommend and implement internal controls in your practice that will reduce or remove opportunities for employee theft. 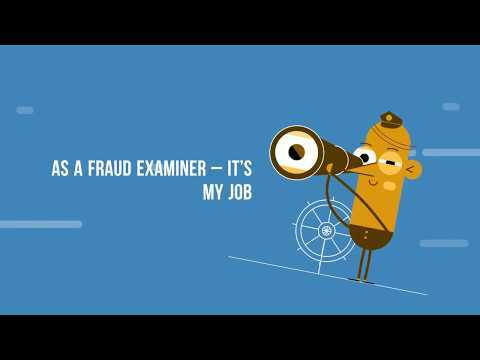 Detection: examine and analyze your practice data and business records to look for evidence of financial crime. Investigation: investigate, identify, verify and report losses; intended for internal use, or to support recovery and prosecution. Remediation: assist with financial recovery from employee dishonesty insurance, settlement negotiations or civil litigation. Litigation Support: provide expert reports to support any contemplated action or litigation proceedings. Data Valuation: appraise the value of your practice’s electronic data for insurance or buy/sell purposes. 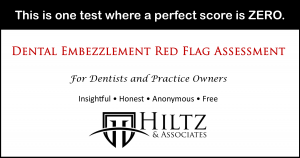 We have a deep understanding of fraud and embezzlement affecting dentists and practice owners. We draw on over 20 years’ experience and look beyond the numbers (and the charts) to effectively deal with the legal, business, economic and dental realities of each situation. This short video will help explain some of the things we do.